Every ton of recycled steel saves 2,500 pounds of iron ore, 1,000 of coal, and 40 pounds of limestone. Do you have old appliances or tools or scrap metal that you consider junk? Metal items are heavy and many times cumbersome to move, but why not let JunkBoys come and do all the heavy lifting and moving, loading, and recycle for you! You just show us where and we will do the rest! How about any old furniture that you may want to throw away but again, you don’t want to deal with the lifting and moving to throw it away. Yes, JunkBoys will do that all for you! All you have to do is schedule the appointment and the JunkBoys will do the rest. Think of this interesting fact- the amount of wood and paper we throw away each year is enough to heat 50 million homes for 20 years! Don’t hesitate to ask JunkBoys to take away your old furniture and any other junk you may have. 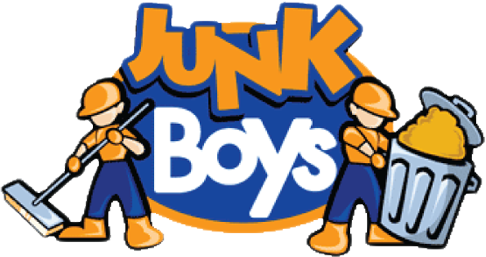 JunkBoys provide a rubbish removal service that will remove almost anything non-hazardous, including moving and storage boxes, old furniture, appliances, metals, old tools, BBQ’s, lawn mowers, tire and rims, books and magazines to yard waste and construction/renovation debris. Our crews are often available for same day service. Next time you take a look around your house; you will be surprised at how many items can be recycled and be a huge benefit to the environment. Schedule JunkBoys for your next cleanup project to remove all this junk for you today! And remember, JunkBoys will make every effort to recycle or donate your discarded items so that it won’t end up in the landfill.